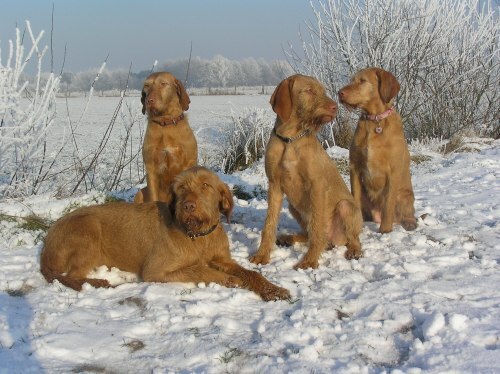 Welcome to the website of the van Essen family and their Quodian's Vizslas. We are happy to show you our Vizslas on these pages and tell you a bit more about the history of the kennel. In 1982 I fell in love with the wire-haired Vizsla (Drótszörü Magyar Vizsla). It happened during a dogshow that I saw this breed for the first time and I completely lost my heart to these dogs. There were no puppies of the breed in the Netherlands at that time and after searching for a long time, I could pick up my first Vizsla with help of a Hungarian friend. 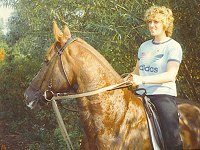 In June 1984 I got 'Borostyánkö Anca' (Csinos) from Budapest (Hungary). When I was looking for a second Vizsla in 1987 in Hungary I lost my heart again but this time to a male Vizsla named 'Fürjesi Aliz (Csongor)'. In 1988 our first litter was born with the prefix Quodian's. I named the kennel after my Hungarian horse, named 'Quodian'. I could not have predicted that my love for this great breed would develop the way it did. 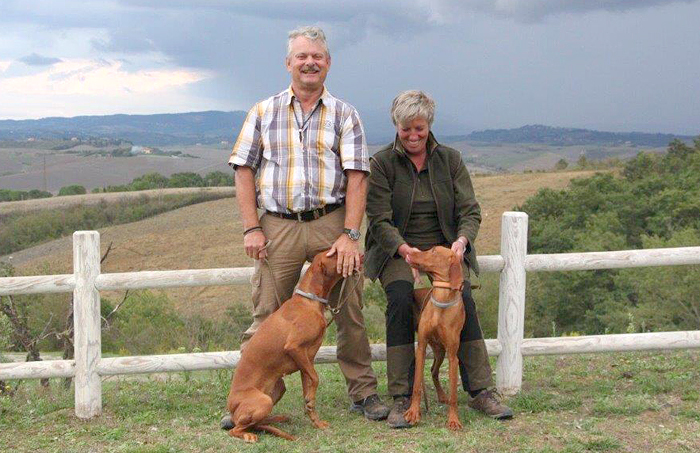 My compassion for these two super Vizslas developed into a true passion and my goal in life. 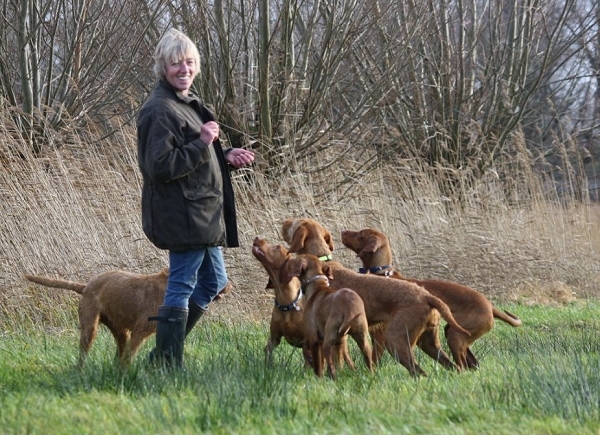 It is now 2019 and we share our lives with a pack of shorthaired and wirehaired Vizslas. All dogs live with us in and around the house in perfect balance: young and old. Almost all dogs are showdogs and/or working dogs and we are happy with all the invitations we get during the hunting season to go for some real hunting training. Occassionally we breed a litter after choosing the best possible combination. Good health as well as super characters are our main goals for the puppies. We think it is very important that the working qualities of the breed are preserved, so that our puppies are not only excellent petdogs, but are also great working dogs. We can tell you everything about the breed so that you can decide whether the Vizsla is the right breed for you or not and if you can give a Vizsla puppy all he or she needs during life!